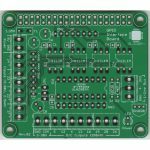 Extended connectivity option for Raspberry Pi Zero, 2 and 3. 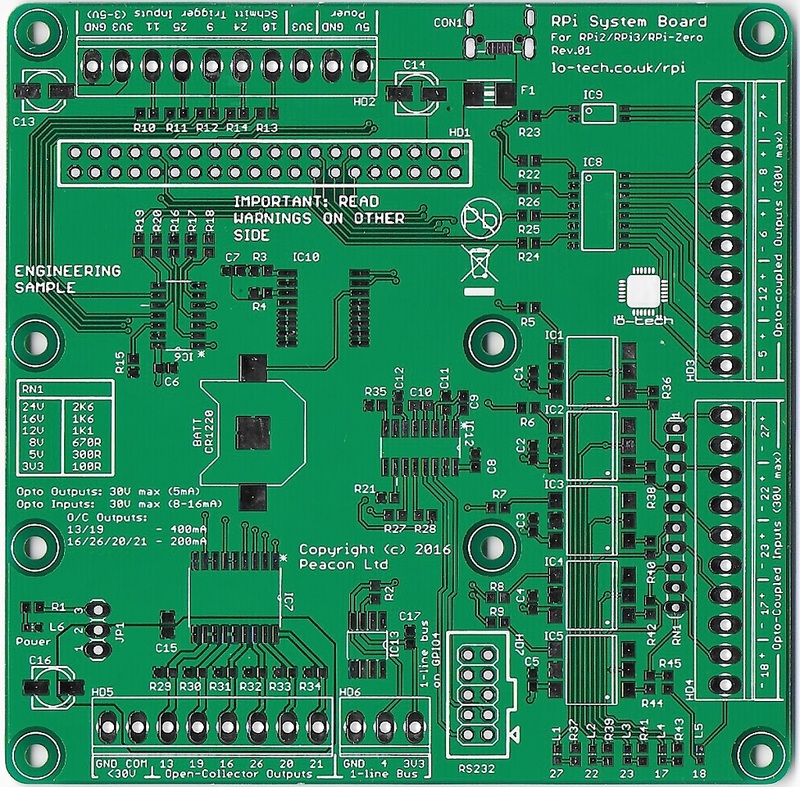 This board is fixed in the system chassis, and the RPi mounted onto it via the GPIO header. 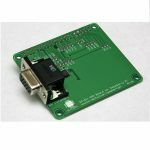 The Lo-tech RPi System Board turns the Raspberry Pi on it’s head – instead of mounting a HAT board to an RPi, an Model 0, Model 2, or Model 3 RPi is mounted to the Lo-tech RPi System Board. 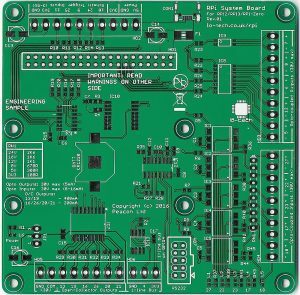 Board dimensions: 100 x 100mm. 1.6mm FR4, HASL. Mounting centres 92 x 92mm. Maximum working voltage: 30V. Engineering sample PCBs shipping now.